What two wars and economic reformation did to the capital's cuisine. Years of serious eating at home and on Hanoi's streets left Vu Bang with the notion that rigorous cooking could turn a pedestrian dish into a delicacy. According to Bang, Hanoi was bursting with passionate eaters in 1952, the kind who vigorously debated the merits of pho and pondered the relevance of the new banh cuon in town—one stuffed with a controversial hash of shrimp, pork and everything in between. Vu Bang himself, spent days trying to divine rules for the proper preperation of bun cha, while dismissing the memory of his estranged wife’s cha ca as a failure. 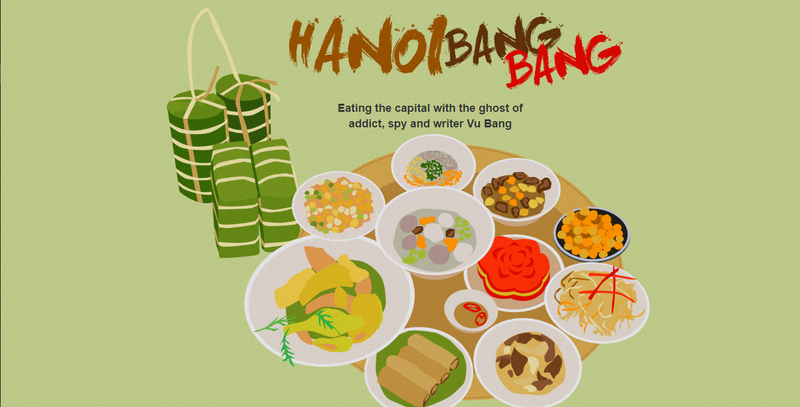 Bang’s obsession with Hanoi cuisine took on all the urgency of his opium addiction, or more frequently, his reverence for women, which came through in metaphors that pepper his prose. The image of a beautiful woman standing by the docks appears over and over again though the high points of his wife's cuisine—whether soft green-lentil cakes or doves stuffed with mushrooms and green rice—cause him to curse the affairs of his youth as frivolities. Sitting in a cold, lonely room in Saigon, separated from his family by a war, Bang poignantly recalled a time when daily meals were embellished with condiments, sauces, appetizers, garnished herbs and humble desserts. Though millions of curious eaters’ flock to Hanoi every year in search of food that's impossibly fresh, labor-intensive and delicious—one wonders what Bang might think of it today. We found it daunting to track down anything in modern Hanoi that met Vu Bang's standards: a pho, for example, free of MSG and clear enough to merit “two, three bowls at a time”, bun cha that lacked a trace of char, honest com and fresh ragworms. Bang dedicated whole chapters to dishes that are no longer here today — banh Xuan Cau, hau lon and banh khoai— back in 1953. 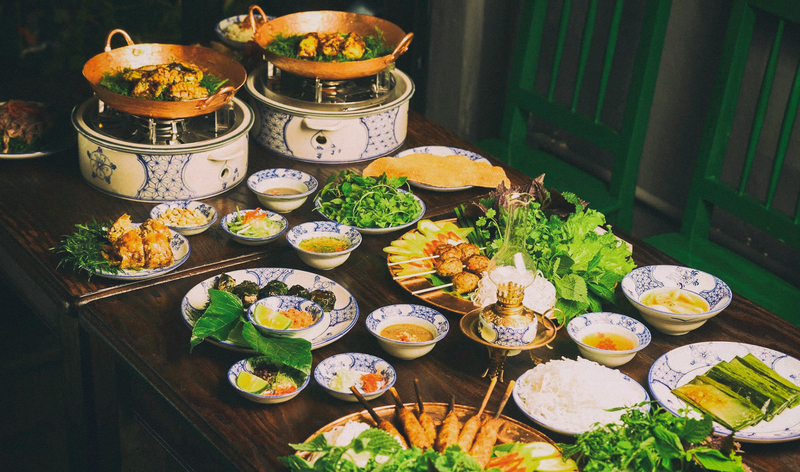 Food historian, restauranteur and author Nguyen Phuong Hai has cataloged roughly 200 sophisticated recipes that have disappeared from the kitchens of northern family cooks. In other ways, the cuisine has grown more democratic—or pedestrian—depending on whom you ask. Vu Bang described bun thang as a delicacy meant for Tet’s final feast—one in which cooks threaded the left-overs from the preceding feasts (spring rolls, chicken, omelet, dried shrimp, spiced pork floss and salted duck egg) over rice noodles and bone broth. The dish is no longer limited to a holiday tradition; one can find a lesser version containing one or two of those ingredients on almost any street corner in the city. At times, the accessibility of food was something Bang celebrated. In describing a bench at his favorite pho stall near Dong Xuan Market, he saw hope for the revolution that he'd spend the next two decades working toward. Before putting his pen down, Vu Bang dreamt of Reunification Day as a feast of Hanoi delicacies eaten from north to south. In a way, that feast is being eaten at humble stalls throughout the country, every day. One wonders what Bang would make of the quality.